Bunbear Quilts: Did Someone Say Pie? I know I haven't posted anything really sewing or quilting related lately, and I appologize for that, but I haven't been doing much right now. Will be getting back into it soon, I'm sure! In the meantime, I baked a couple of peach pies Sunday. I cheated on the crust. 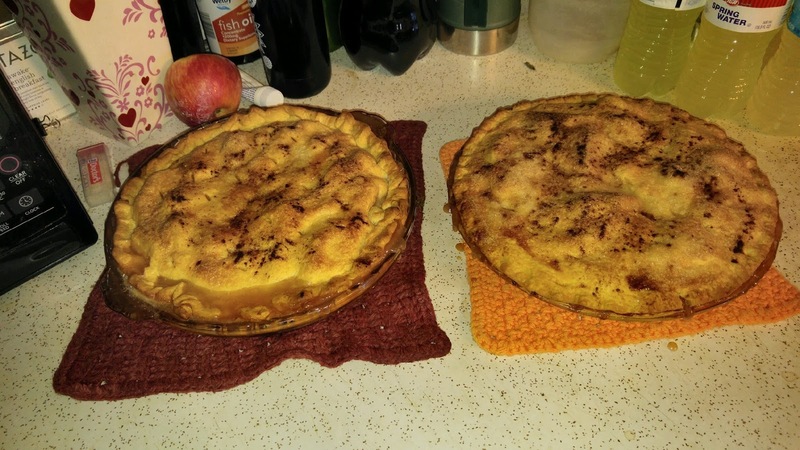 Pillsbury or whoever else, has a pretty good ready made pie crust, so I just bought that and used it. Doctored it up a bit with butter, sugar, and cinnamon. The peaches were fresh from the orchard down in Southern Illinois.